The 2011 Tapestry Gala is once again hosted by Interfaith Ministries for Greater Houston. 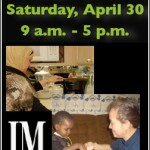 Interfaith Ministries, or better known as IM, works to gather individuals of diverse and distinct faith and traditions for discussion, partnership, and service to the community. This year, the Tapestry Gala will be honoring Jan and Dan Duncan by presenting a tribute to the astonishing life and giving nature of the late Dan Duncan. 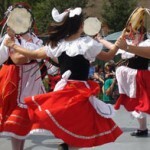 This year’s Tapestry Gala hosted by Interfaith Ministries for Greater Houston will be on the 3rd of May 2011; the wonderful event will also celebrate the huge diversities in culture, ethnicity and faith. Guests will be enjoying a sumptuous and fabulous dinner. A program is also prepared as well as wonderful musical entertainment prepared by Kenneth Gayle productions for the night. Philamena and Arthur Baird will chair the event with Peggy and Bill Barnett and Jan Duncan, the event’s honorary chairs. Both the Honorable Arthur L. Schechter and the Honorable Fred S. Zeidman will receive the 2011 Tapestry Award on that night. This award realizes a community leader who has shown exceptional self-esteem through real work for the development of Houston and eventually, the world. In addition, a tribute will also be presented and given to the lifetime board member, Rabbi Roy Walter. The proceeds from the Tapestry Gala will benefit the Interfaith Ministries for Greater Houston, which is a local non-profit organization that brings people from different cultures, traditions and faith to work together as one to bring growth to the community. The organization offers four main supports including Meals on Wheels for Greater Houston, Disaster Preparedness, Interfaith Dialogue and Refugee Relocation Services. 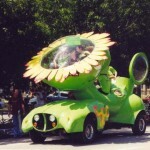 The Tapestry Gala will be held at 1600 Lamar, Houston, TX 77010 on the evening of May 3rd 2011. Don’t miss this wonderful event. 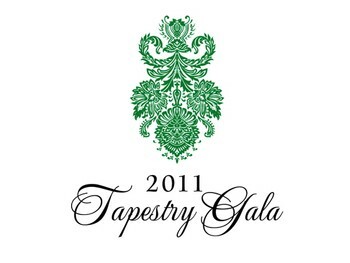 Don’t miss the 2011 Tapestry Gala.